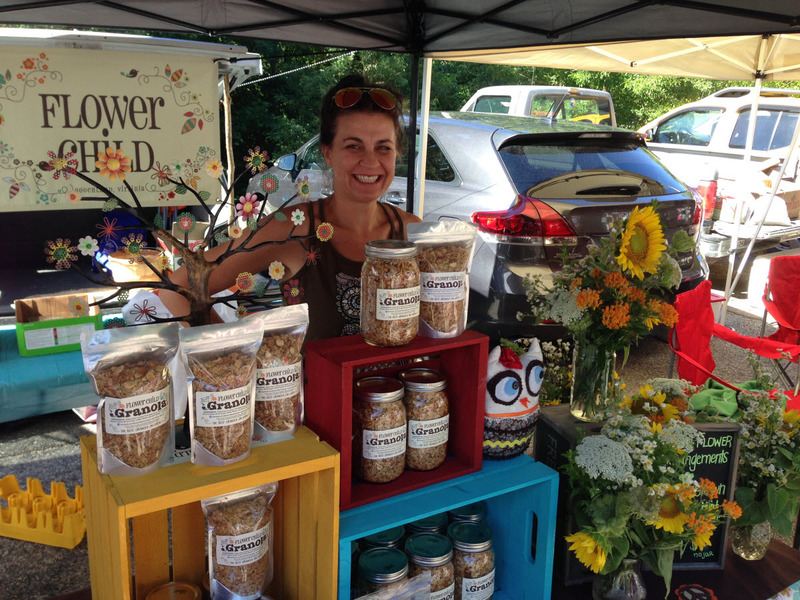 Goochland-based Flower Child specializes in (extremely popular!) small-batch granola, baked goods and handmade, organic soap and body care. Owner Tonia Wyatt took a few minutes away from baking to share a little more about herself and her business. My whole life I have always had my hand in something creative. After having children, I decided to home school them which gave me more time to try new things. John and I have been making Granola for about 9 years now. We would give our Granola to family as Christmas gifts and everyone loved it! Flower Child was “created” about 2 years ago after hearing about farmer’s markets here in Richmond. –When you’re not vending at the market, what do you spend your time doing? My life is like a giant canvas! I get bored very easily so I am always doing new things. I spend my days with my 2 youngest kids, Savannah and Johnathan. We play a lot and spend time outside gardening. I make soap in the afternoons between cleaning and doing laundry. I bake, watch movies and spend a lot of time dreaming up new ideas! –What type of work did you do before becoming a vendor? Years ago before John and I were married, I was a nail technician at The Sanderling Spa in the Outer Banks. We lived there for about 10 years. Since our son Johnathan was born in 2003, I have been a stay at home mom. –What are your greatest challenges with your business? The greatest challenge for my business is making enough Granola!!! 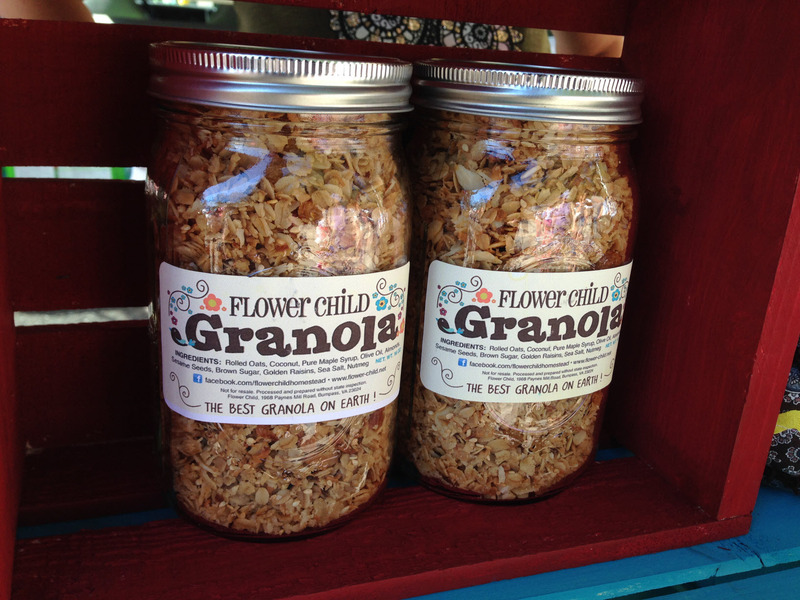 Sounds silly I know, but our Granola has become so popular that I find us selling out at the market! –What 3 words would you use to describe your products?